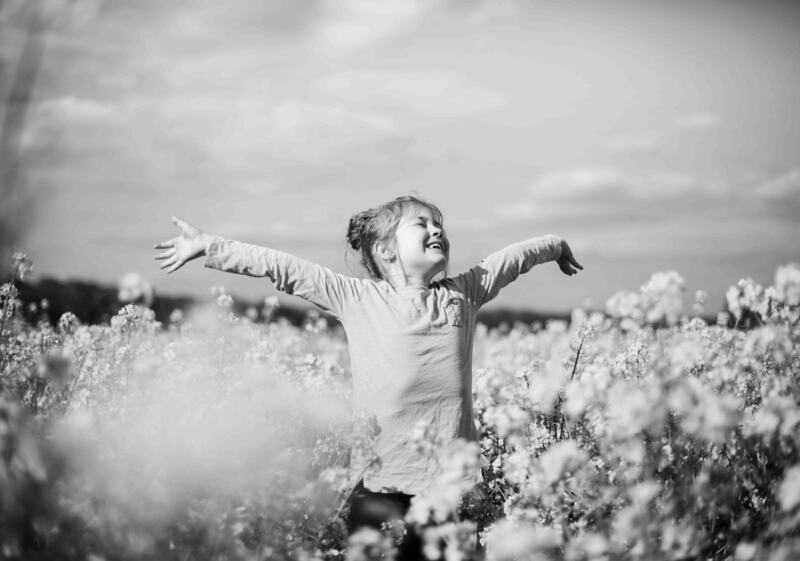 The new Whitby is an exciting, fresh community that is the ideal place for active families. Ranked in the top ten Best Places to Live in Canada*, Whitby offers a fabulous quality of life. From the finest sports and recreation facilities to golf courses and community centres, Whitby is perfect for families on the go! 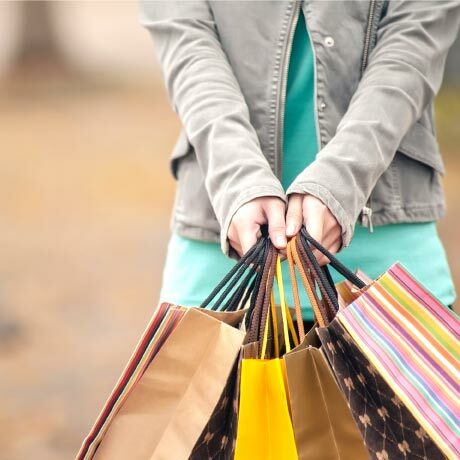 Here you’ll discover outstanding shopping, terrific schools and easy transportation to make life convenient and fulfilled. It is here that two of the GTA’s most popular builders – Andrin Homes and Heathwood Homes have brought about a new age in community building. Country Lane in Whitby represents a new style of the master-planned community with unique streetscapes, traffic calming roundabouts and meticulously designed up-country style homes on 26, 36’ and 45’ lots. The conservation of Whitby's heritage is an important part of the Town's commitment to creating a sustainable community. Plans to preserve this heritage will enhance the quality of life and sense of history, community and identity while positively impacting on the economic future of local craft and tradespeople related to conservation. Heritage plans will add even more diversity and character to Whitby. Served by Durham Region Transit, the Town of Whitby is easy to navigate with public bus transportation. 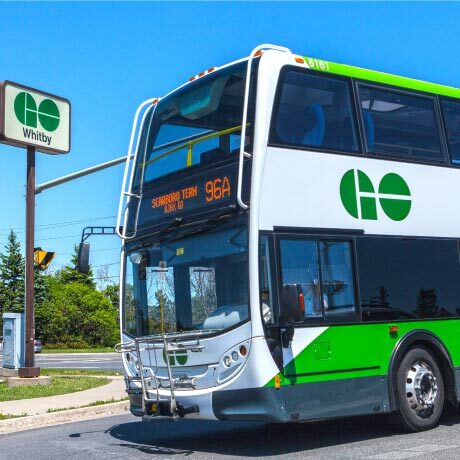 The Whitby GO Station offers convenient bus and train schedules with connecting services. Daily train passenger service to major cities, including communities in the Greater Toronto Area, is available. The GO and train Station is located at 1350 Brock Street South, at Hwy. 401 & Brock St. (Hwy. 12). Highway 401 provides access east to the Ontario-Quebec border, west to Toronto -Windsor-Detroit, and links to major U.S. border points. Other accessible highways include Highways 2 & 7 - alternative routes to Toronto and eastern destinations, Highway 12 - gateway to northern cottage country and many towns and cities and Highway 407 – when completed (2020) the 407 extension will connect with the existing east-west toll highway to create even better access to Toronto and the Golden Horseshoe for residents of Whitby. Your family can experience over sixty kilometres of trails in Whitby! Just steps from Country Lane you can access Heber Down – a 3.73 km walking trail that provides an excellent hike through beautiful greenspace. There are lots of trails to explore nearby as well including Ash Creek Channel Trail, Bio-Diversity Trail, Brooklin Lions Trail, Cullen Central Park Trails, Otter Creek Trail, Scott Trail and Whitby Shores Waterfront Trail. Whitby’s waterfront is alive with action! There are waterfront trails to explore, marinas to visit, cafes and pubs to enjoy, beaches to relish . . . and they are all just around the corner from Country Lane! 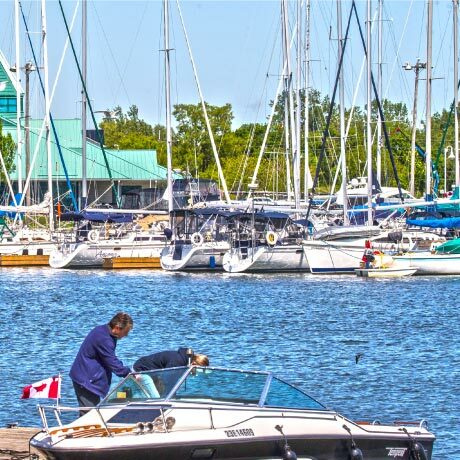 The Town of Whitby has undertaken a massive Waterfront improvement project that includes enhancements and expansion of several waterfront parks and trails making it a fabulous amenity for residents to enjoy. Whitby is unique! 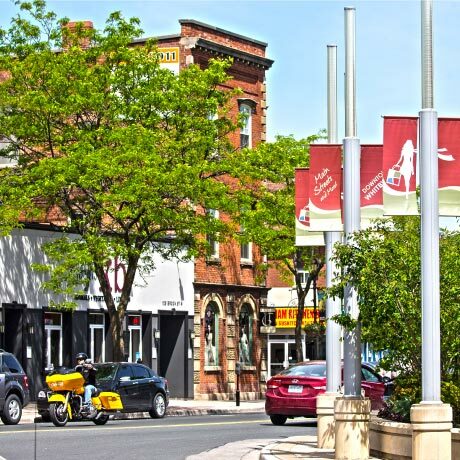 Two distinctive downtowns serve the community: DOWNTOWN BROOKLIN– a historically charming stretch of shops and services and DOWNTOWN WHITBY with its diverse stores and restaurants. Both downtowns offer more than shopping – they are a destination. The architecture highlights unique charm, and historic buildings host an eclectic mix of businesses and services. But there’s a more contemporary side to Whitby as well – with big box brand name stores conveniently located close to Country Lane. Here you can get the variety and styles that your family seeks – from clothing to furniture to food. Everything you need is right here in Whitby! 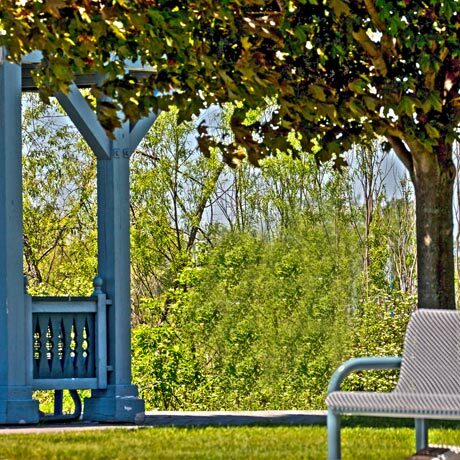 Whitby offers residents the very best recreational options around! From skiing, skating, tennis, hiking, biking, golfing, swimming, and endless sport options your family can lead an active, fun life in Whitby. There are no less than 20 golf courses in the Whitby area including the prestigious Royal Ashburn. 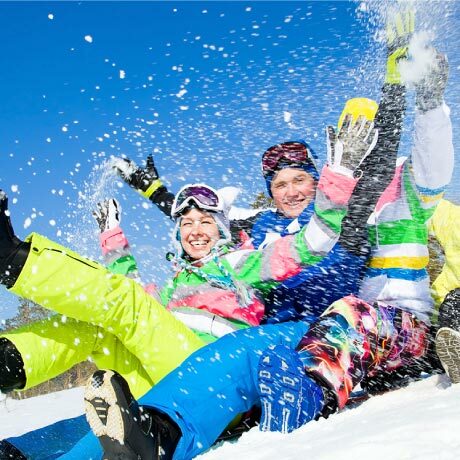 When you live at Country Lane, you can enjoy winter at a number of ski resorts just minutes away! You’ll love the many programs available at the Whitby Civic Recreation Complex, which offers a fully accredited health club with state-of-the-art cardio and conditioning equipment, two recreational pools, and fitness programs for all levels. There are skating programs at a number of centres including McKinney Centre, and the Luther Vipond Memorial Arena. Whatever you choose to do, you’ll do it in style in Whitby!